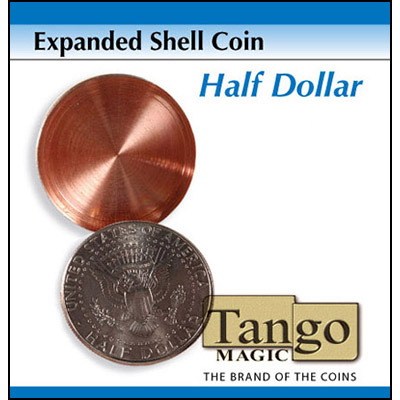 I sheepishly claim sub-expert knowledge of coin magic, but I have to say that I find the Tango Expanded Half-Dollar shell more difficult to work with than previous shells I have owned as the rim is only about half the thickness of a coin. When the shell is on a close-up mat, it is too thin for me to pick it up into a palm between the forefinger and pinky. I also find that because of lack of depth of the rim, the shell becomes too easily dislodged from the coin it is hiding. As I say, I am not a "coin guy" -- perhaps there are advantages that i don't see to this design. I'm posting in the spirit of caveat emptor.